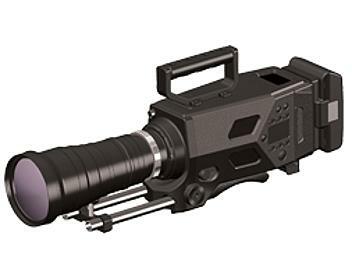 GY-LSX1 is a 4K shoulder-mount production camera equipped with a Super 35mm sensor and PL lens mount. Delivers full 4K imagery at up to 50/60p, and full HD imagery at up to 240p for super slo-mo applications. Equipped with a live 4K output and a host of recording options. GY-LSX1 features the new 13.6 MP 4K CMOS image sensor and records to SDHC/SDXC UHD-I U3 memory cards.